Much has been written about the incredible amount of meat consumed by the Corps of Discovery. The enormous physical challenge of hauling and poling the keelboat and its heavy cargo up the Missouri River dictated a high-protein diet, and Lewis and Clark’s hungry men ate up to 9 pounds of meat a day when game was plentiful and hunting conditions ideal. But man cannot live by meat alone, and Lewis and Clark made sure the occasional carbohydrate made its way onto the menu. With yeast-based bread and the means to make it left behind with American civilization, the captains were well prepared to improvise. As the Corps traveled farther into the wilderness, their limited stores of flour and Army hardtack took a backseat to the traditional Indian “three sisters” of corn, beans, and squash. But when the Corps stumbled half-starved from the Rocky Mountains and onto the Weippe Prairie in September 1805, they were ready to eat anything. 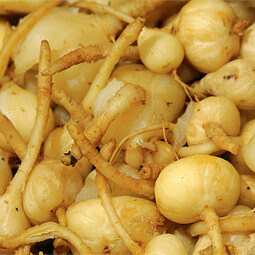 It was then that the Nez Perce introduced them to a new Native American staple: the camas root. The camas root was unfamiliar to Lewis and Clark. A major food of the region, the camas plant is a type of lily that produces beautiful blue flowers in the spring and a nutritious, bulb-like root. Harvesting camas was a fun social occasion, and tribes from as far away as the Pacific coast sometimes made their way to the Weippe Prairie to participate in this event. 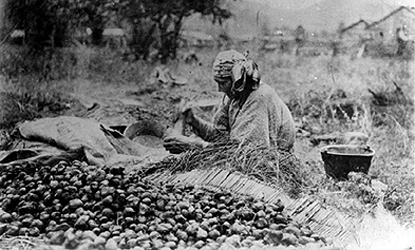 Women, as the “gatherers” of the tribes, did all the harvesting, using digging sticks to pry the roots out of the ground. Women were also in charge of putting the roots up to last during the scarce game months of the long winter, a cause for celebration when the harvest was especially good. Unfortunately, the camas root gave Lewis and Clark’s malnourished men little reason to celebrate. Though described by Sgt. Ordway as “sweet and good to the taste” – somewhat like a pumpkin – the root was hard on delicate digestions, particularly on men unaccustomed to eating much fiber. Famished after their time in the mountains, the Corps of Discovery gorged themselves on dried salmon and camas offered by the generous Nez Perce, and the result was digestive disaster. The acute suffering lasted for more than a week, during which time the men were engaged in building five canoes for the trip down the Clearwater and the Columbia. Hot weather contributed to the misery, making hunting a difficult chore. What venison the hunters were able to bring in was made into a soup to nourish the sick, while the less-sick men – no one was well – began work on the canoes. Whatever the cause, Lewis and Clark were spared, and they eventually got used to the camas root and even learned to like it. 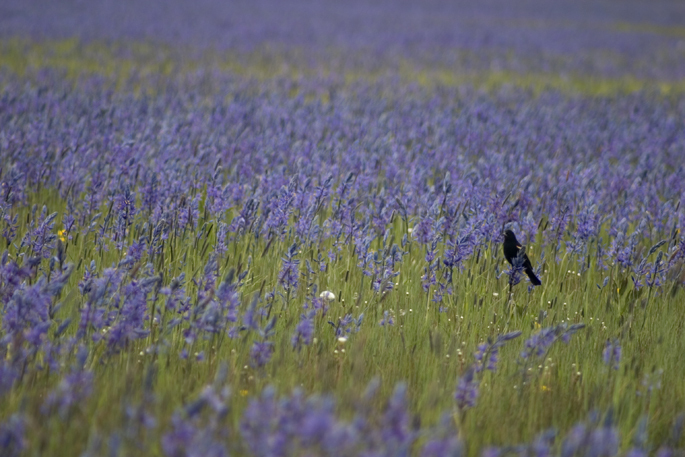 Lewis had to caution the men to obtain the root only through purchase from the Nez Perce rather than gathering it themselves, as the edible blue camas could easily be confused with the poisonous white or “death” camas, being hard to distinguish in seasons when the plants were not blooming. 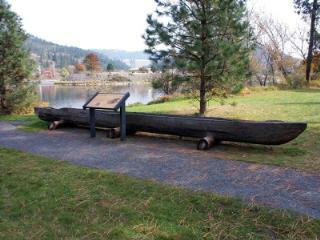 Lewis and Clark purchased a large supply of the camas root before packing up their canoes and beginning their journey down the Clearwater. One further property of the camas root turned out to be a welcome and surprising treat. Dampened by the rough whitewater, part of their camas supply turned sour and fermented during their trip downriver. On October 21st, Clark recorded that Private John Collins had discovered the fermented camas and had “presented us with Some verry good beer.” It was the last alcoholic drink the Corps would taste until they returned home in the fall of 1806. I have been reading the Journals of Lewis and Clark, and come away with a very different take on their diet than what you present in the first paragraph. First: It appeared that they incorporated non-meat items in their diet occasionally for flavor and some variety, but mostly only when there was not any meat. I never read anything in their writings to suggest they “made sure the occasional carbohydrate made its way onto the menu.” They were a couple of times astounded that the men could sometimes still perform their work when they had to go long periods of time without substantial meat. Second: they did NOT consume their meat for the protein, but for the fat. In fact, on many occasions they would simply discard a bison or deer because it was “useless” (as they wrote), meaning that it was lean meat. A whole animal killed but go to waste because it was not fatty enough. They particularly commented about this during the winter camps, but most especially pointed out while in Oregon that they preferred dog meat to lean venison. This is not unlike current adventurers who head off to the north or south pole and take along vast quantities of butter to consume directly due to the huge amount of calories afforded in the compact form of fat.